Images: Studio Borlenghi . Source Luna Rossa Challenge. 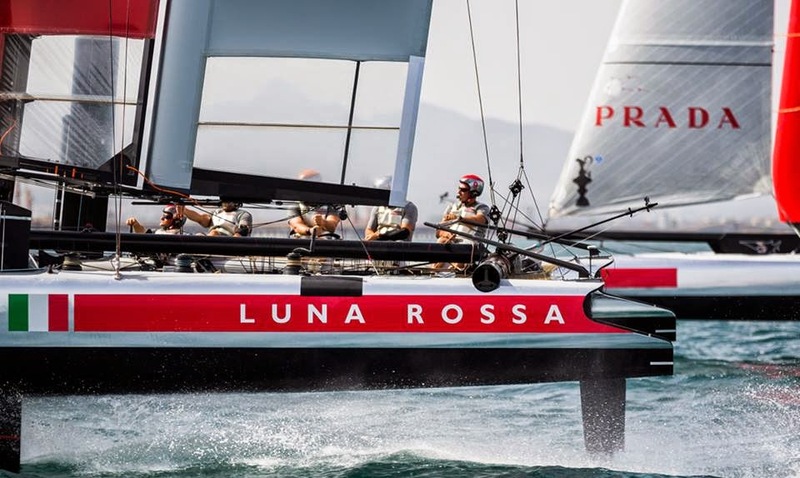 "Following this past Christmas break team Luna Rossa is back at work full-time at its base in Cagliari in view of the 35th America's Cup to be held in Bermuda in 2017. After four setup days the team has recommenced its sea trials with the two AC45s Luna Rossa Piranha and Luna Rossa Swordfish. The training session today lasted 5 hours, with 9-12 knots of wind and flat sea. 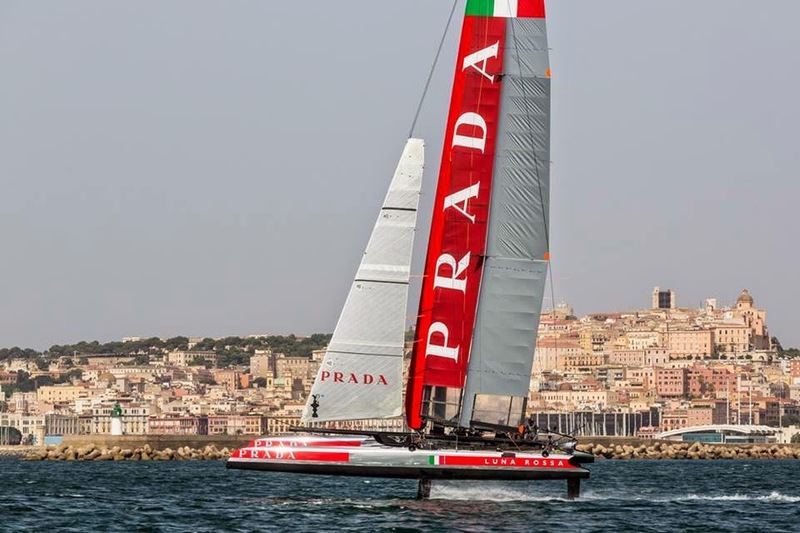 Sailors Francesco Bruni and Adam Minoprio were at the helm of the two AC45s. Max Sirena, skipper of Luna Rossa said: "The Cagliari base is fully operational after the Christmas break. For the next three months we plan 4-5 training days on the water each week to test the systems and new appendages. Every day we learn new things, and the more the time goes by the more we realize how many opportunities we still have for development, exploring and testing. The design team, focused on the AC62, is working closely with the sailors with a continuous exchange of information." In the coming week two team members, Chris Draper and Bora Gulari, are participating in the Moth World Championships in Sorrento, Australia."